Germany to invest €110m to develop military infrastructure in Lithuania. Credit: Alfredas Pliadis (MoD). Reuters reported that Germany has plans to spend €50m this year in joint barracks, which is shared by Nato forces, and in other facilities. 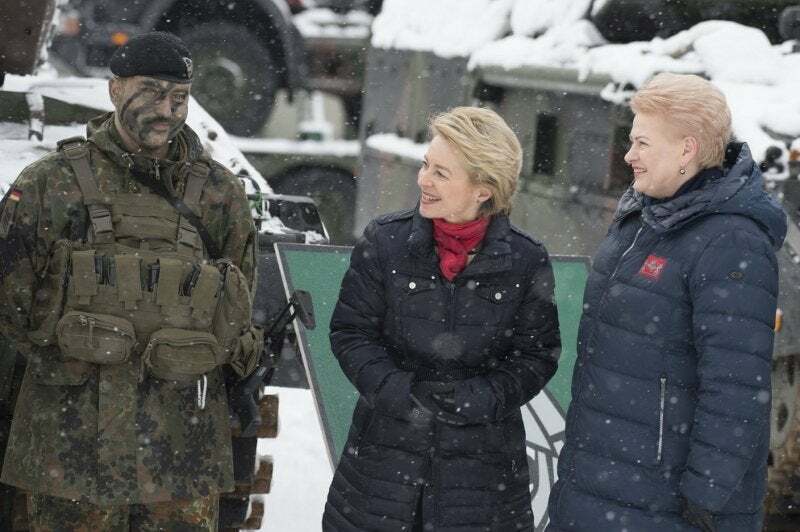 Germany also provides assistance to Lithuania to help modernise the country’s armed forces and military equipment, as well as ensure security in the region. The contribution was announced at the celebration of the second anniversary of the Nato enhanced Forward Presence Battalion Battle Group (Nato eFP BG) in Lithuania. Nato eFP BG is led by framework nation Germany. The battlegroup will be manned by Germany and contributing nations, namely the Netherlands, the Czech Republic, Norway, and Belgium, with the contribution of an expert from Iceland, and a German combat tank unit. The unit is integrated into the Lithuanian Armed Forces Mechanised Infantry Brigade Iron Wolf and has seen around 8,000 allied soldiers from nine Nato allies serving on a rotational basis so far. In 2018, the Mechanised Infantry Brigade Iron Wolf was affiliated to a division of the German Bundeswehr.